In the opening of the great medieval dream vision Piers Plowman, the narrator lies down ‘on a brood bank by a bourne syde’ and is sent to sleep by the sound of the stream which, as he says ‘sweyed so murye’. The poem registers a universal truth, that there is something mesmeric about running water, but it also prefigures the Jungian association of rivers with dreaming and the unconscious. The river, of course, can also stand for death or, as Styx, the underworld. In another medieval poem, Pearl, an unfordable river separates the dreamer from the ghost of his daughter and the promise of heavenly paradise. And in Hamlet, all three concepts – death, dream and river – are combined in the famous ‘To be or not to be’ soliloquy, where death is identified as ‘The undiscover’d country from whose bourn no traveler returns’. I was recently commissioned to write a new work for Humber Mouth Literature Festival in Hull, East Yorkshire. 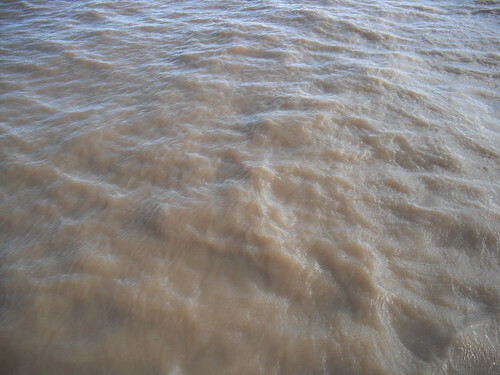 The result is Flood Drain, a long poem which meditates on the dual themes of dreaming and drainage, inspired by a two-day drift down the river Hull. The city, recently announced as Britain’s Capital of Culture for 2017, is properly called Kingston-upon-Hull; but such is the ubiquity of the shortened name Hull that the river itself has got somewhat lost. 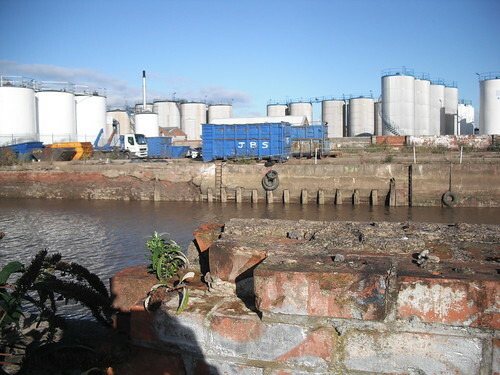 Perhaps this is not so surprising; after all, the city faces out into the vast grey estuary of a much larger river, the Humber, leaving its eponymous stream to snake through the industrial landscape of wrecking yards and ruined docks undisturbed and unrecognised. I wanted to walk the Hull as an attempt to trigger an altered state of consciousness, a state of dreaming, and just like the dreamer of Piers Plowman, to listen to the murmur, or the howling, of the river. 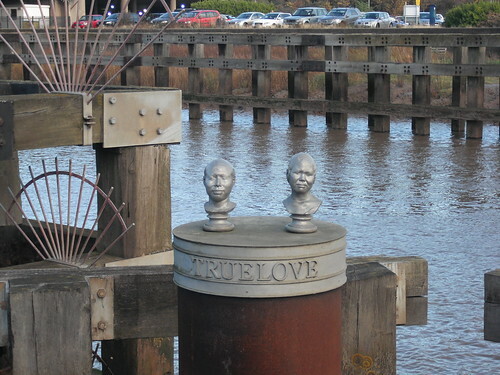 On commencing my drift at the river’s mouth, I was struck by a sense of the deep and layered history of Hull. There has been a major port here since medieval times, when it was a prosperous trading centre with links to Scandinavia and the Baltic. In the nineteenth century its docks were some of the most important in Britain, indeed the whole British Empire. 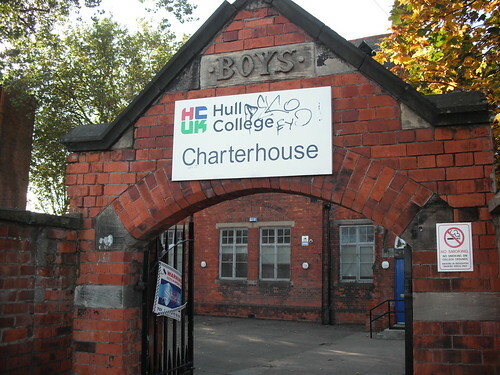 Hull suffered more than any other city, save London, during the Blitz, and this onslaught not only altered the industrial landscape forever – it also precipitated Hull’s seemingly terminal decline in the late twentieth century (in 2003 Hull came top of a list of the UK’s Crap Towns). 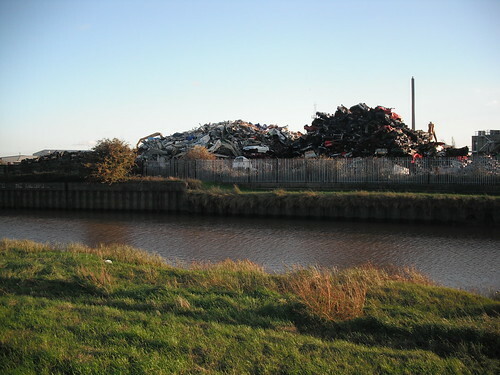 The environment of the river mouth, whether River Hull meets the Humber, is messy and exposed. Old dock gates shake in the turbulent tide; grey-brown, frothing water spills over crumbling walls, and the metal gangways creak and swell. The scifi prow of the ominously-named new ‘submarium’ – The Deep – juts out into the estuary. This cape was once dominated by one corner of a formidable castle (later citadel) overlooking the walled city. A chain and windlass were employed to protect the entrance to the river from invaders, and the appearance of the mouth as a fortified gate persists as one looks north through the great tidal surge barrier and the first of numerous bridges that span the Hull. 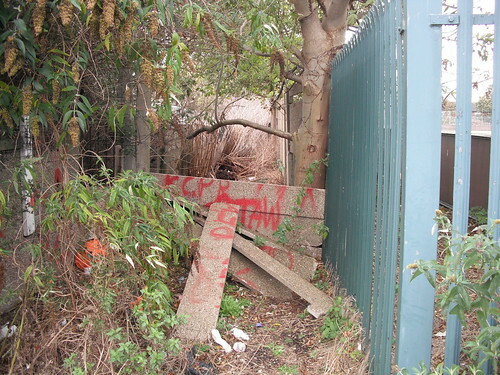 As you follow the river’s course through the city, access to the waterfront is never guaranteed. 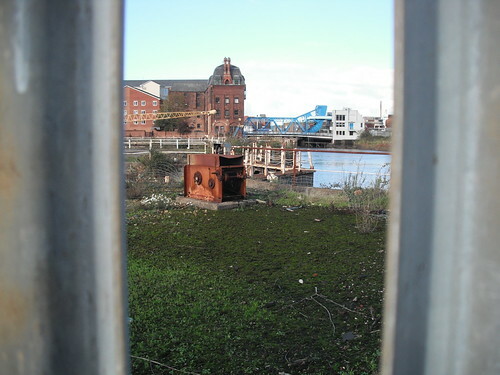 Your view of the river is often complex or obscured; mediated through a patchwork of fenced-off wasteland, former docks reduced to stagnant pools, makeshift carparks and industrial sites. Hull’s Streetlife Museum and a restored ship the Arctic Corsair (in whose rigging pigeons were loudly roosting) are the few ‘heritage’ artefacts on the riverbank. I saw no tourists, and only a handful of recreational walkers, namely a couple of families near the museum and dog walkers. 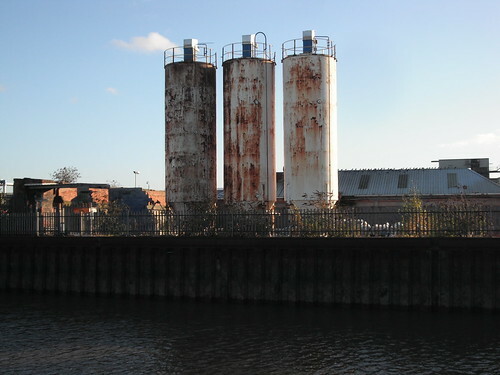 The history of Hull is all the more intriguing by the absence of any sustained memoralisation, and by the juxtaposition of the restless, timeless river with its ruined, choked-up banks. I imagined the monks of the Charterhouse Monastery (whose buildings are now part of Hull College) tramping through the scrappy car park towards the Maizecor Tower. Multiple iterations of industry exist on one site, each one layering over the other like a graffiti wall, or a palimpsest. 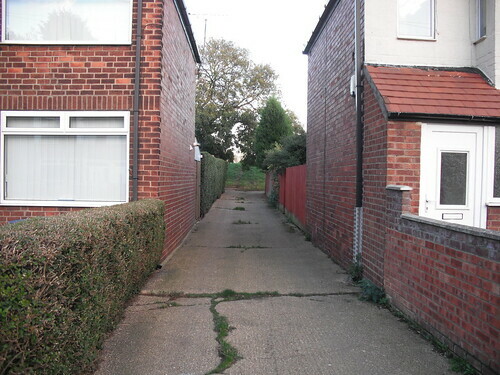 In short, then: Hull is the psychogeographer’s dream job. 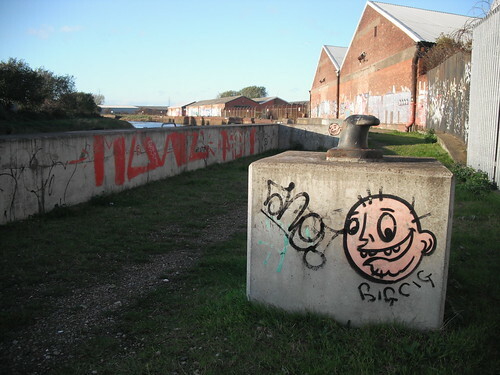 Hull is a city of districts, each one boasting a distinct flavour. Approaching Wincolmlee – which literally means ‘a field in the corner of an island’ – the banks thrive with scrapyards and processing plants; chemical works and double glazing manufacturers. 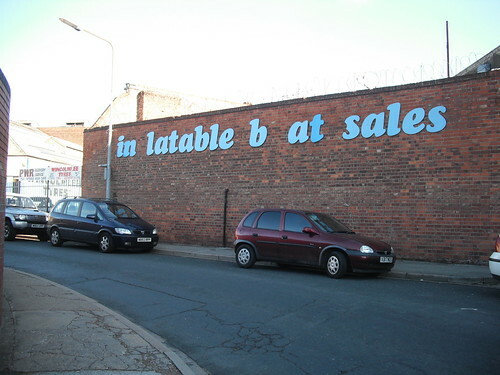 The sign for an inflatable boat company has been eroded to a joke version of itself in pig Latin. 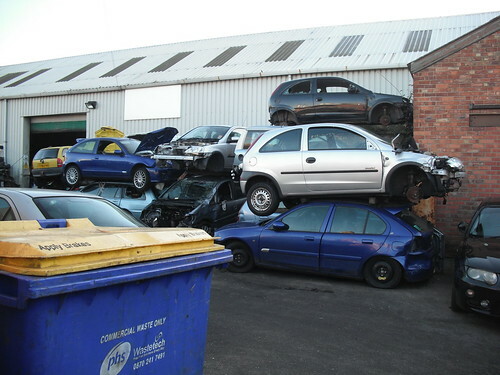 I had the sensation of real activity – the constant low buzz of machinery, the beep of reversing lorries – but without actually seeing more than about fifteen people in hard hats and high viz jackets. When I stepped into the Kingston Cafe for lunch – a traditional workers’ caff located inside a light industrial estate – I was the only customer. 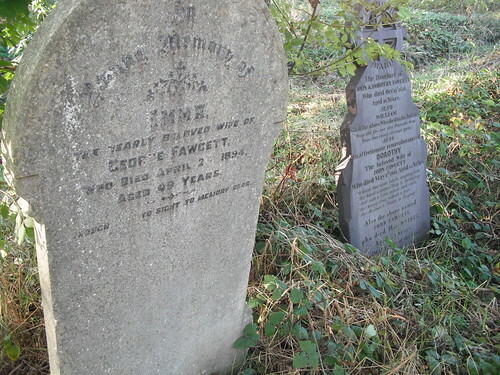 Off Wincolmlee, I stumbled across a wildly overgrown graveyard. Faded headstones lost in a sea of hawthorn and rampant ivy. On inspection, most of the dead were nineteenth century, but the site – the former church of St Mary’s, Sculcoates – is more ancient, at least thirteenth century. Reckitt’s Chimney looms above this abandoned space like an admonishing index finger. A brick stack of 141 metres, the chimney once gave off sulphurous fumes from the manufactoring of ultramarine pigment from Reckett & Sons, but is now obsolete. 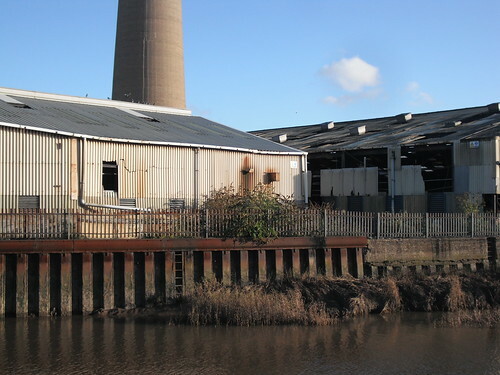 The river continues to emit an uncanny atmosphere as it snakes, entirely canalised by a steel girdle, past abandoned warehouses and stained gas cylinders. 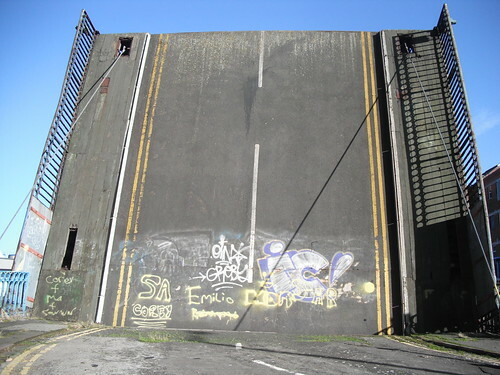 A bridge permanently raised up presents its tarmac surface as a verticle plane, a writing or climbing wall. 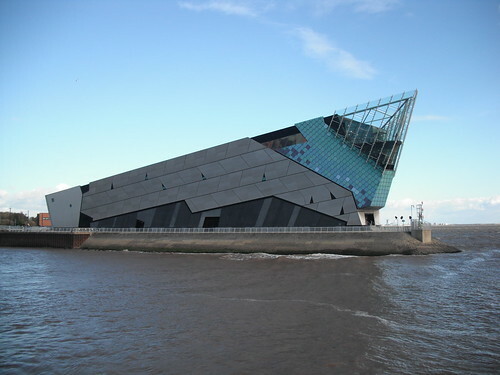 Maybe TS Eliot had in mind not London but Hull when he wrote of the ‘unreal city’? Past Stoneferry and the marvellously graffitied frontages of boarded-up warehouses, the Hull loses its girder on one side, and a strip of almost fluorescent green turf greets the walker in this weird edgeland. 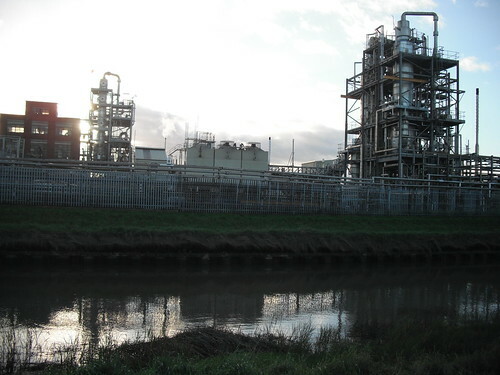 On the opposite bank, chemical works steam and hiss, whilst the path on the east bank nudges up against the steel fences of car parks, storage units and industrial hangars. In the middle distance a wind turbine – owned by chemicals company Croda – moves its giant sails through the crisp air. What appeared at first to be a large bear crouching on the riverbank turned out, as I approached slightly nervously, to be a horse – tethered (actually, chained) to a post in the spongy ground. Beyond it, another, and then another. These horses, I later discovered, are kept here illegally – that is, against council regulations – by Irish travellers. 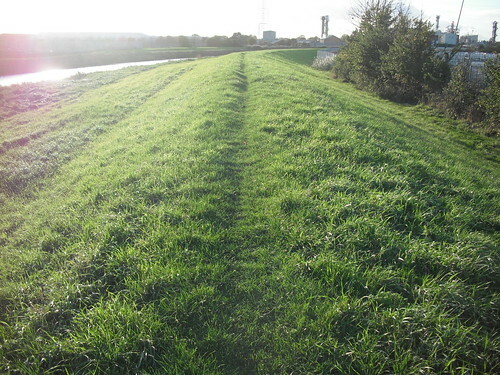 As the river Hull emerges from the industrial fringes of the city, through the suburbs of Sutton Fields and Greylees, it enters a flat landscape cut and organised by a complex network of ditches and dikes. Follow the river all the way to Beverley and you will never be more than a couple of metres above sea level; the fields and farms of this rural hinterland were once unusable marshes (or in the local dialect ‘carrs’) and would be again if it were not for their systematic draining. 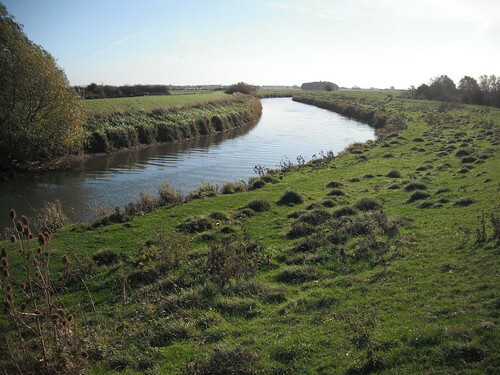 In the seventeenth century engineers from the Netherlands were employed here, as they were in East Anglia, because they, above all others, understood about living below the sea. 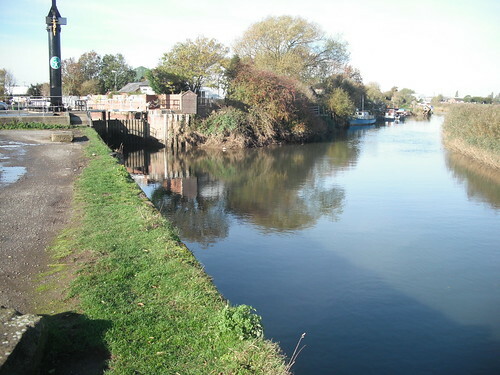 On my second day exploring the river Hull, I walked from the market town of Beverley along Beverley Brook to Grovehill Lock. 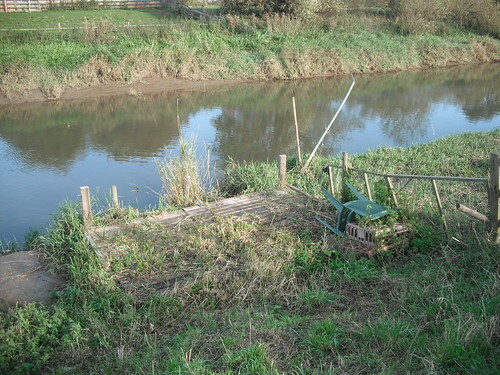 This is the point at which the (artificial) Brook meets the (natural) river, but is also the point of intersection with the Beverley and Barmston Drain, which flows in dead straight lines roughly parallel with the meandering river all the way to their confluence at Sculcoates Gote (also known as High Flags). 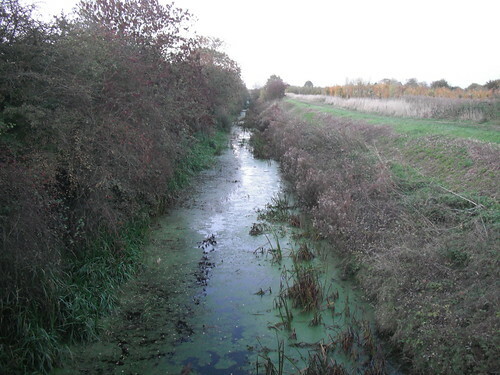 A number of other, smaller drains can be found in the vicinity, hustling across the expanse of common land at Figham. Under a pale Autumn sun, the bucolic atmospherics of the river out here – far from the city yet still in sight of Reckitt’s Chimney – were undercut by a persistent feeling of being followed. Walking the Hull’s raised bank was like walking along a ridgeway. In one field the distant rumble of an engine was the bass drone to the mournful, falsetto wails of unknown birds hidden in the stubble. Near the outflow of Well Stone Carr Drain, a large, unleashed dog charged at me, barking aggressively as if I was a threatening interloper. 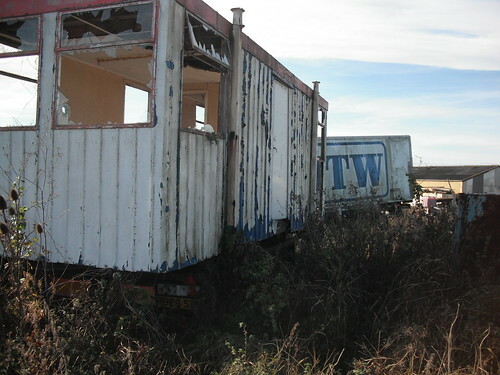 At Kenley Reach, an isolated farm was surrounded by a junkyard of smashed cabins, abandoned caravans and containers, gut-less vehicles, a rusting barge concealed behind tall reeds. 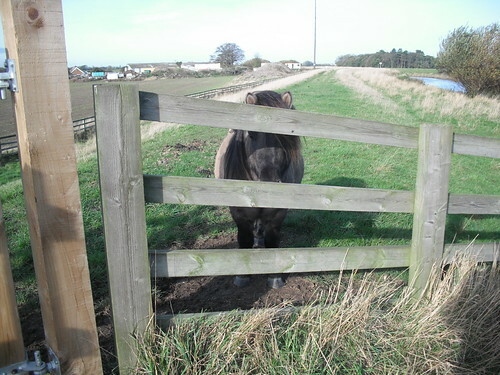 A little further on, I found a sad pony tethered to a kissing gate. 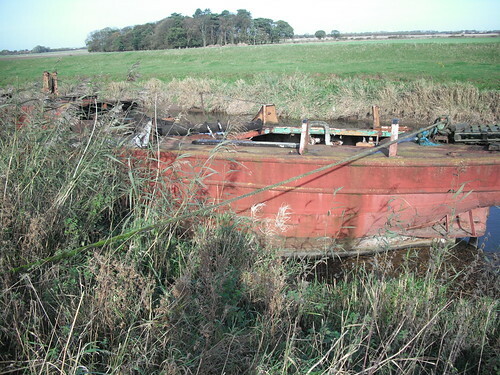 I turned away from the Hull at Ferry Lane, where an overgrown wooden platform on the riverbank is all that’s left of a ghost ferry across the river between the hamlets of Wawne and Thearne. 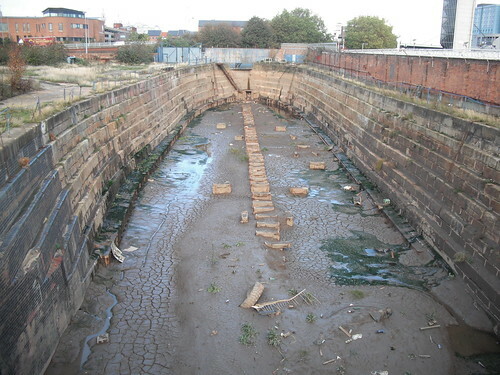 The drain, it seems to me, is a defining symbol of Hull: oscillating between cleanliness and disease, between the bucolic and the urban industrial; a reminder of the provisional geography the city overlays. 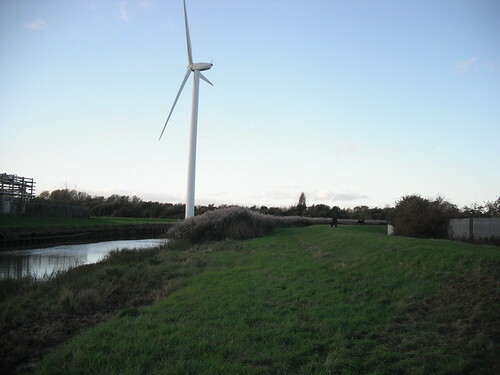 And so I completed my walk by following the Beverley and Barmston Drain – the ‘Barmy Drain’ to locals – from Dunswell, beyond the boundaries of the city, through Newlands and Sculcoates. 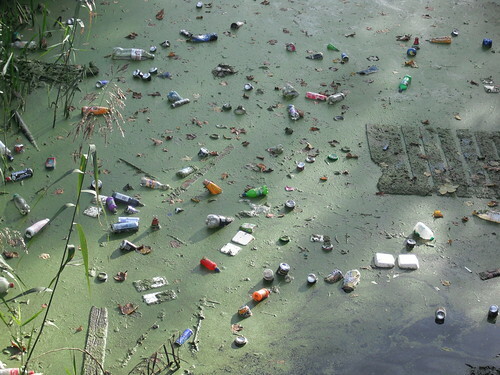 The slow-moving water was covered in algal bloom and full of junk: bottles, cans, discarded takeaways cartons, shopping trolleys, mattresses, even a television screen – face down in the murk. 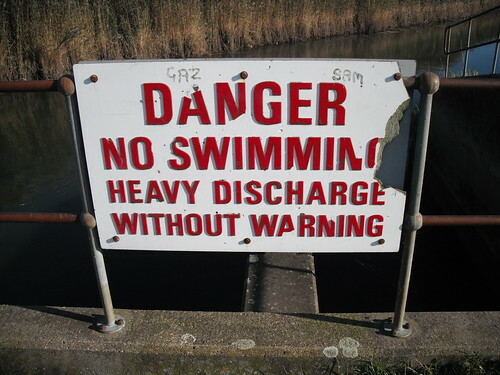 It’s hard to believe that back in the 1950s children used to swim in it. 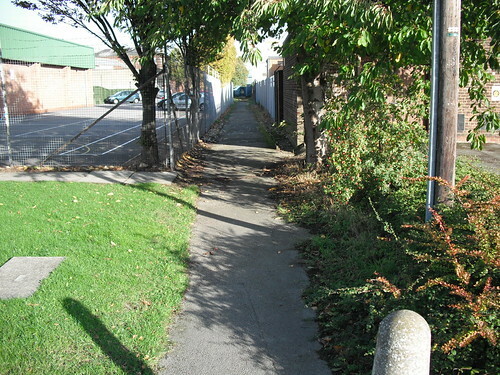 Nowadays the path along the drain is more popular with dog-walkers than with bathers. 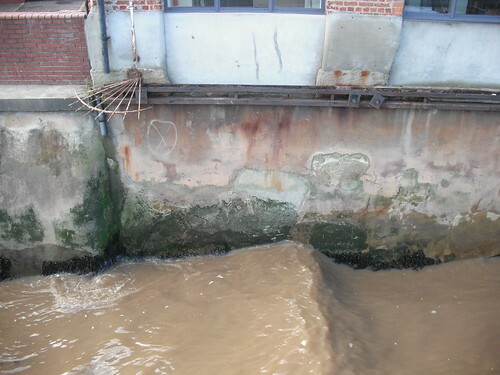 The Barmy Drain is only the open drain that stills runs through the centre of Hull, but the city is still full of traces of other drains, now buried beneath the streets. Through Sculcoates I nosed around for the trail of the former Cottingham Drain, and found it ghosting the cycle paths and alleyways, the waste grounds and in-between parks, before it too meets the river through a disused dock. You can track these vanished lines on Google Maps; the satellite imagery reveals forgotten routes threading across the streetplan. At the end of the dream vision, the dreamer awakes, returned to the old world. 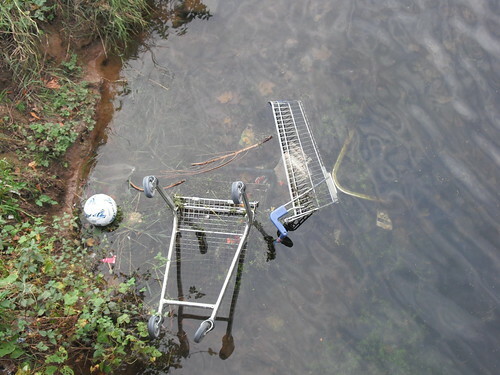 The river is not this knowable thing. 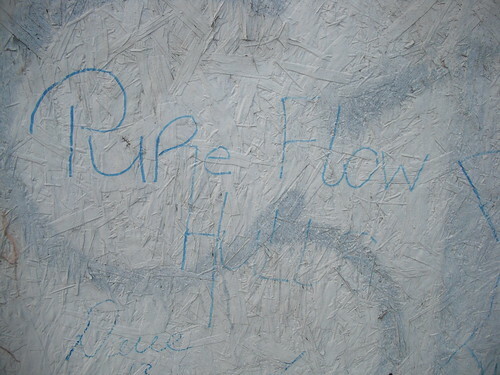 On a hoarding underneath Mytton Bridge, by the river’s mouth, someone had scrawled this message. Flood Drain will be published by Annexe in a limited edition in December 2013. A full set of photographs can be found on Flickr.